Our founding member, AnneMarie had a boy named Miles and Jacqueline had a girl; Elise. Congratulations to both of you and your families! Little dresses for Africa – Don’t forget this fabulous philanthropy project. 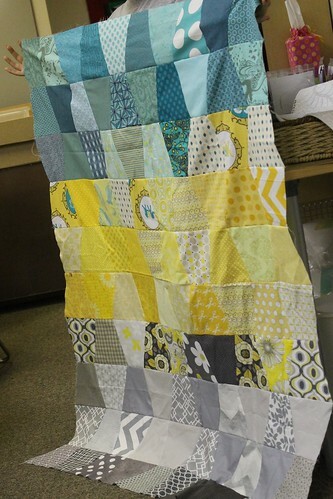 Directions on how to make these easy to construct dresses that are no bigger than a pillowcase and so much appreciated can be found on this link àhttp://www.littledressesforafrica.org/blog/?page_id=477 Bring your finished dresses to the May meeting. 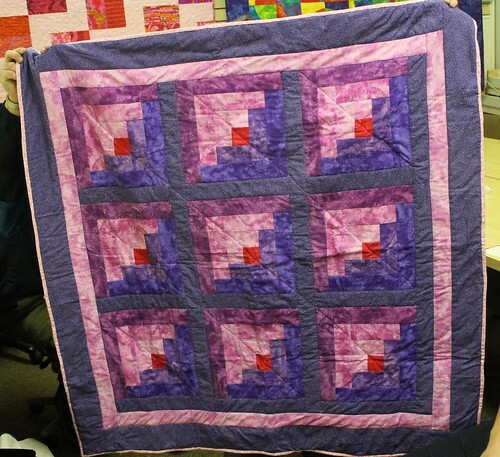 · If you’re interested in showing folks how to hand quilt at the Chick-let & Chocolate event on April 21 in Worthington, let Dana know. 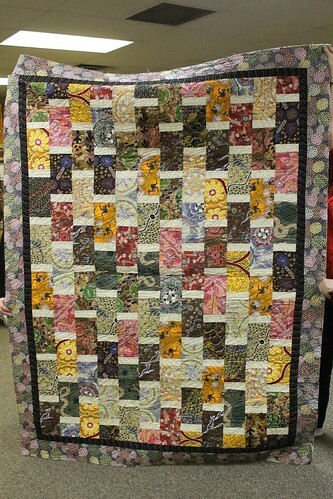 · A beautiful hand quilting frame has been donated to our guild. 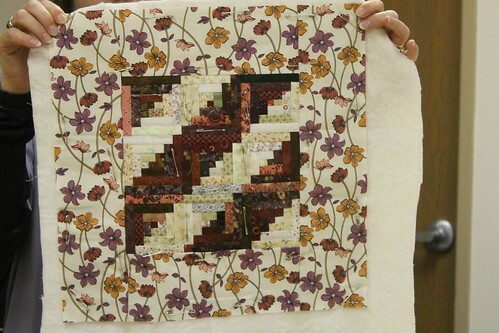 If you’d like to give it a go and work on some hand quilting, see Abbe. · If anyone has tools or notions that you just had to have and now you just don’t use, bring them in. Someone else in the guild might like to use them. Simply exchange names and phone numbers and agree on when you’d like them returned. 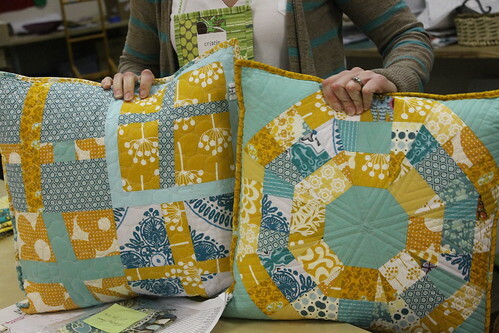 Sounds like a great way to try out some new quilting gadgets. 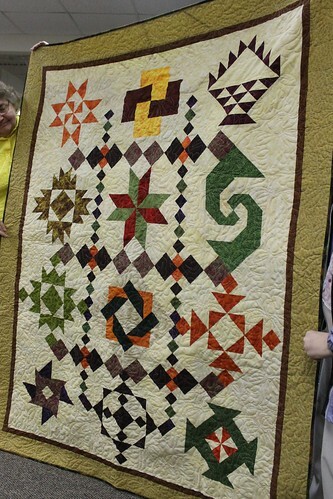 · For those of you going to Cincinnati for the International Quilt Festival in April, the Cincinnati chapter of the Modern Quilt Guild is going to have a get together on Saturday April 14 at 8 PM. See Dana for more details. 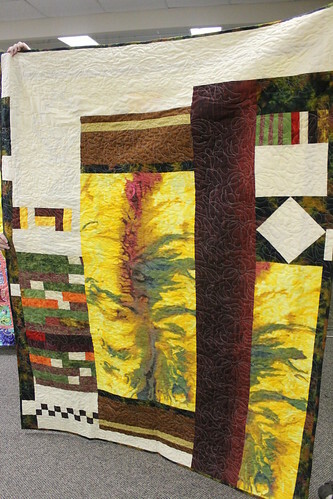 And since the National Quilting Association show is in Columbus in June, Nicole, Kathy, and Barb are going to look into coordinating an event for our Modern Quilt Guild to host Cincinnati. More info to come very soon on that since June is not all that far away. 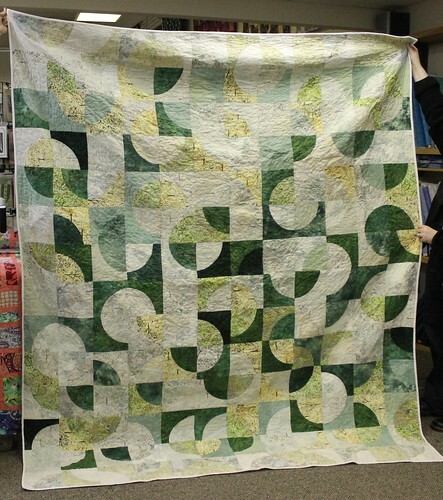 · Idea…What do quilters like to do almost more than quilting…shopping for fabric of course! 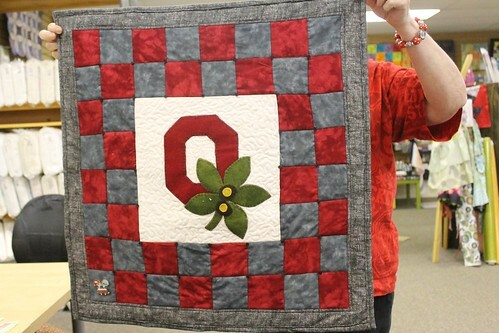 Abbe made an awesome suggestion of road trips to check out the quilt shops around the state. Needless to say, this suggestion to increase our stash was very well received, so Abbe will share more info at the April meeting. Wrist Pin Cushion Swap - Fabric was swapped for the wrist pin cushions so it will be fun to see all of the different versions that are traded next month. 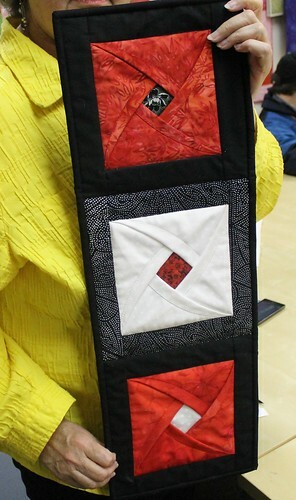 Thread Painting and Bobbin Work Demos – were provided by Catie. How cool was it to see the difference that some special thread techniques can make? Thanks, Catie! 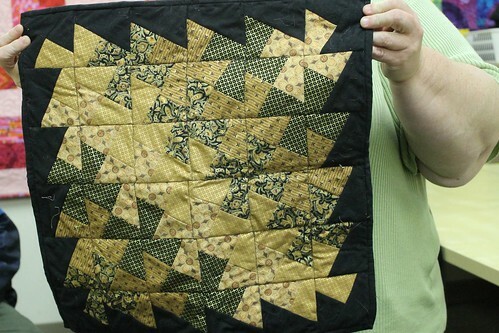 Next Month – Linda will give us a trunk show of her garments so don’t miss it! The next meeting is April 20. Hope to see you all there! 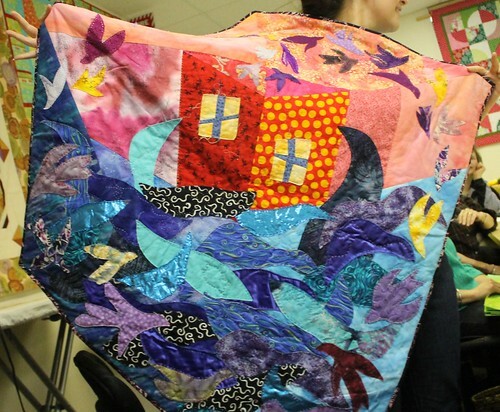 And here is a taste of some of the quilts at this months meeting! See more and share your what you're into at our flickr page!